Six (6) Cards per Pack! Highlighted by Four (4) Premium Autograph or Memorabilia Hits! Some Familiar Hits, Some NEW Hits! 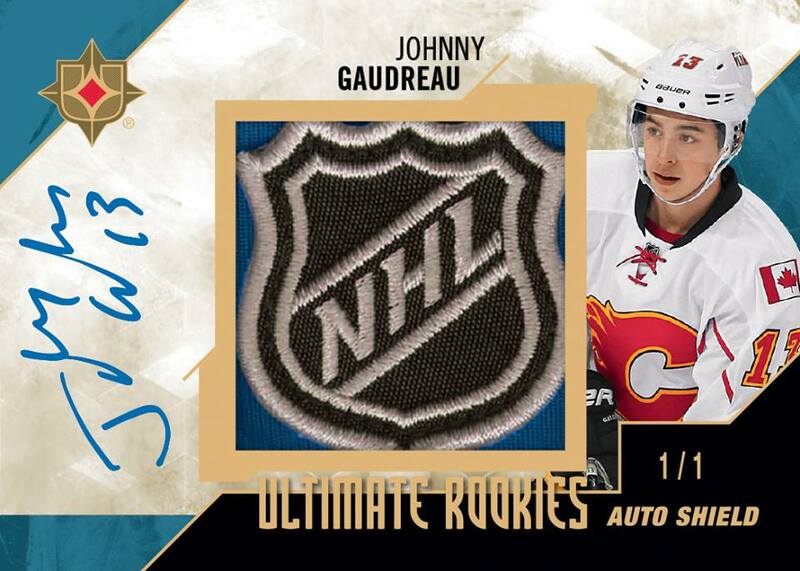 The Best 1-of-1 NHL Shield Patches! Autographed RC’s, #’d to 99 & 299! These huge hits feature the best RC’s from this year’s class! (NEW) Find Obsidian Silver Script Autos! With Silver Paint Pens on Black Paper, these Scream Big Hits!! (NEW) Look for Rare Materials! Amazing patch, stick & strap pcs! (NEW) Get Ultimate Gear cards! 4-Piece Combos & 6-Piece Trios!